This November, Eighty-three percent (83%) of Baltimore citizens voted overwhelming yes for Question J, establishing an Affordable Housing Trust Fund. 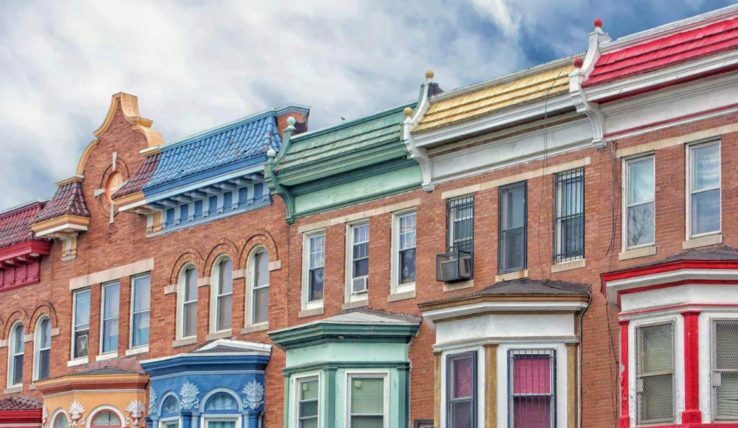 Advocates mounted a campaign called “Housing for All: Baltimore” with the express purpose of establishing an affordable housing trust fund in the Baltimore city charter. The purpose of the charter amendment is to create an Affordable Housing Trust Fund that will promote and support fair and affordable housing throughout Baltimore for extremely low income families by providing financial assistance for production, maintenance, or expansion of affordable housing. The AHTF, when funded, can be used for predevelopment activities, capital and operating assistance for the creation of community land trusts, affordable and fair housing related services as well as administrative and planning costs. All housing assisted by the Trust Fund will serve households with incomes at or below 50% of AMI. At least 50% of the units in any three-year period must serve households with incomes at or below 30% of AMI, including 25% of those units serving households at or below 20% of AMI. Furthermore, all rental housing assisted by the Trust Fund must have a minimum affordability period of at least 30 years. All homeownership housing assisted by the Trust Fund must meet affordability criteria based in part on the amount of Trust Fund monies invested in the unit. The fund will be administered by the Department of Housing and Community Development and overseen by a 12 member appointed commission of community members. The commission is comprised of some of the usual categories of people such as a non-profit developer, a service provider, a realtor or homebuilder, mayoral appointee, a lender, but uniquely, they have included multiple people impacted by the housing crisis: one resident below 20% AMI, one resident below 30% AMI and one resident below 50% AMI and homeowners who have benefited from a homeownership program. The Charter Amendment will empower the Mayor and City Council to create and direct funds into the Affordable Housing Trust Fund. Before the passage of the Amendment, only the Mayor could direct funds. In early 2016, the Housing for All Coalition began working on the campaign to establish an Affordable Housing Trust Fund. Their first step was to recruit what became a diverse coalition of Baltimore organizations from housing advocacy groups, unions, immigrant rights organizations, housing developers, and community groups. Once organized, the group decided on a two-part campaign. Part-one, was the ballot initiative that established the fund. Part-two of the campaign will be capitalizing the fund with a dedicated revenue as well as work with the City to seat the twelve-person commission. Before getting signatures, the Coalition had to get the language approved for the ballot measure. Once the language was approved on June 27th, they had until August 8th to collect 10,000 Baltimore voters’ signatures to get the initiative on the ballot. The advocates learned very quickly the ballot initiative collection laws, trained volunteers and a small team of paid canvassers, developed and launched a website. As was reported in the Baltimore Sun, they were so successful in their signature collection that they turned in more than 18,000 signatures to put this on the ballot in November as Question J. Once on the ballot, the campaign pivoted to convincing voters to vote yes on Question j. Having limited resources, the Housing for All Coalition decided to narrow their focus to high turnout areas and to work with candidates for office to distribute their literature. The biggest hurdle to the campaign was informing voters that the issue was on the ballot. Volunteers and friendly candidates dropped literature in targeted communities. The coalition also worked on visibility of the issue through yards signs and a rally a few weeks before the election. Through fundraising they were able to buy some radio spots to promote Question J. Their last action was on election day was having volunteers and friendly candidates hand out their literature at the polls. All these efforts were done with few financial resources but with lots of work of volunteers and advocates to get the great results on election day. After this successful campaign, the Coalition is using this momentum to immediately work on part-two of their plan: dedicated revenue sources. Advocates are researching the best sources and planning their strategy for working with the city council and the Mayor.